What’s different about driving a campervan? 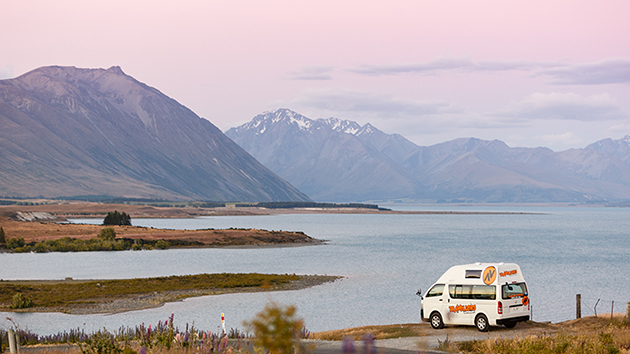 With most campervans, a normal Class A (or Car) driver’s licence is sufficient to rent and drive them in New Zealand. You wouldn’t need a special licence class to drive them unless they exceed the normal size and weight limits of a car. This is usually more common in RVs or motorhomes, as they are larger vehicles. Just be careful with minimum rental ages. Usually, companies will rent out from the age of 18, but there are sometimes exceptions. Driving a larger vehicle is something people usually either love or hate. Some people find that campervans are even easier to drive than regular cars. This is because you sit higher, can see better, and the driving position can be more comfortable. However, if you aren’t familiar with driving larger vehicles, you should be careful with the height and length. When parking the vehicle or reversing, be aware of that extra length and always check your side and rear view mirrors with care. Campervans are also higher than regular cars, giving you the ability to stand up inside them. This of course means, exercise extra caution when driving under low heights. Underground car parks, fast food drive-throughs, and low hanging branches can be a nightmare for these tall vans. Be smart, remember you’re driving a larger vehicle. Campervans are considerably heavier than regular small cars. Although that doesn’t make them feel greatly different to drive, you should always keep it in mind for the sake of safety. When stopping the vehicle, remember that you will need extra distance for the vehicle to slow down and come to a complete stop. 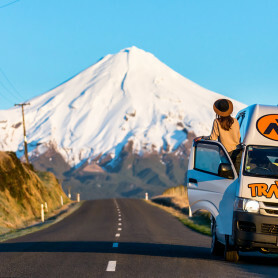 You may also want to consider which roads you take when driving your campervan. 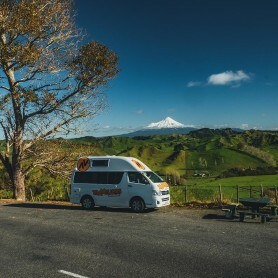 There are many narrow and bridges and overpasses in New Zealand, and although most are completely fine to drive larger vehicles on, just be mindful of the weight specs of your campervan. Campervans are slower than cars. When travelling on a windy or uphill road, you may start to notice traffic piling up in a line behind you. Pull over and let smaller, faster traffic pass. 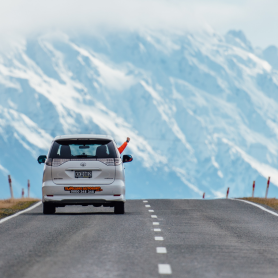 It’s the courteous thing to do on New Zealand’s often narrow and one-lane roads. 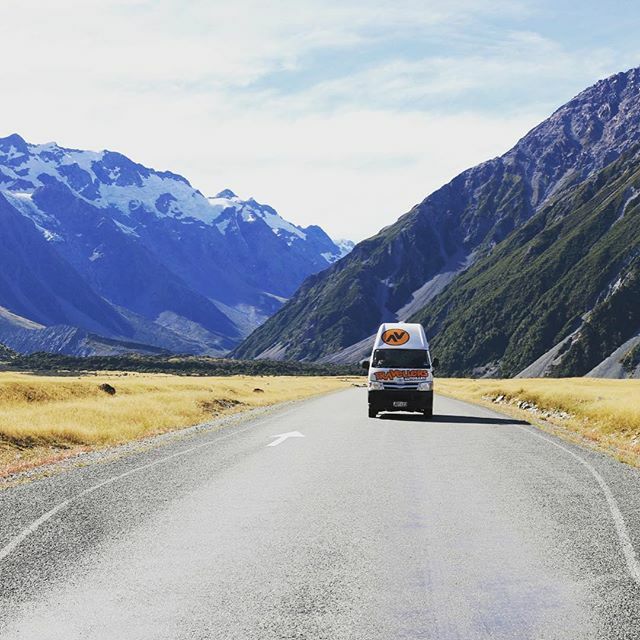 Campervans also have slower acceleration than cars, so do not try to overtake another vehicle if you can’t see an extremely safe opportunity to do so. 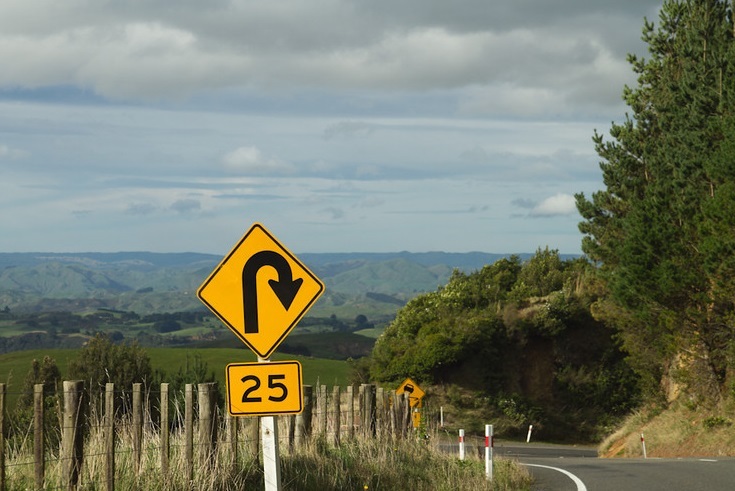 In New Zealand, there are usually street signs before a bend which tell you how fast you should take them. Always follow these guides as they are the most accurate way to ensure your safety. As you would expect from a larger vehicle, the turning and handling will feel a little different. They have a slightly larger turning circle than a car, so parking in tight car parks and making three-point turns in small spaces can be more difficult. Most campervans handle well and you will probably only notice a difference in the handling when driving at high speeds. For example, when travelling along a highway, you might feel a little more wind catching on the van due to its height. This just means, two hands on the wheel to have full control over the vehicle. The extra height of the vehicle also means it has a higher centre of gravity, so you should also take corners more slowly to avoid a disastrous topple over! 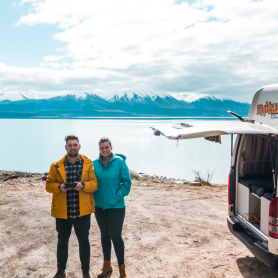 You’ll find that most campervans do not have 4WD capabilities. In that case – do not attempt to drive them off road, on the beach, or even on unsealed gravel roads. This will only end up with you damaging the vehicle or getting stuck in a position where you need to be rescued. Although it would be amazing to travel off the beaten track, just keep in mind the repercussions if something were to go terribly wrong, and choose your route wisely.